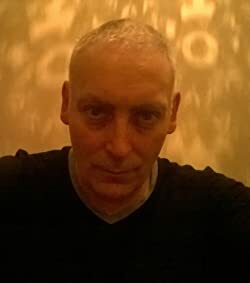 In this blog, I intend to pass through the first sieve much of the knowledge that has come to me through the Web, through extensive reading, and through my understanding over the last 30 years. This is not intended to be a re-blog of other posted articles [although i would like to do that in another blog] My posts in this blog will all be original essays. So as a result, i may not be able to add new posts that often. 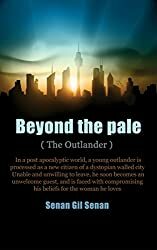 My name is Senan Gil Senan, and I am a writer and author of the Beyond the Pale series of novels which are visionary tales exploring a potential future path of society. They cover a potential future in which citizens are confined to living in citadels. In these cities of the future, comfort and an easy life make up for the loss of liberty and for the all pervading culture of surveillance. In the citadels, people have transhumanist goals and hold to atheistic humanist values. 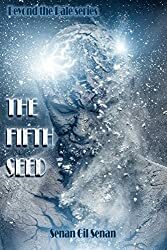 They see the implementation of technology as a way to master nature, and feel that they are on the verge of a transhumanist transformation into super-humans. Those outlanders who live outside of the citadels live in threat of detainment and re-education. They give up comfort and live in a harsh environment in order to gain liberty. They feel that they are on the cusp of a spiritual transcendence, and that nature is about to change and will transform everything in its wake. If you like any of my essays please let me know by rating them or linking to them. There is a lot of work put into some of these posts. Please do not plaguarise without linking to the post. Well; this is an interesting profile.it can be hard to share yourself with others. I do reccomend it though as it helps people to understand you and your point of view. Nice to know who you are talking to. Not absolutly neccesary i guess but nice. I coresponded with a blogger for months beliving them to be a woman by the style of the writing. When they finnaly posted pictures and information; it turned out to be a thirty-five’ish overweight; guy. No problem. His work is still very good but I now see him as a romantic; lover of women or more to the point; a worshiper at the feet of Aphrodite and of the ideal of Femininity. A worthy effort to be sure. My point is that I feel much more kinship with him now than when I thought he was a woman. Of course; it is possible that I would feel a different way if he or I were just skightly different people so knowing something of your aquaintence is…..Good. Hey; don’t you hate those people who can’t get their thoughts together enough to say everything in one comment so they keep posting auxilliary comments one after the other until they have two or three or even four total comments right in a row on the same thread? And then they go completely off subject and tell you about their freaking typing issues or medical problems or cats or something. Speaking of cats; I have this little black one who………………………………………………………………. I truly enjoyed all your blogs. Would love to hear your thoughts of what is going on right now with Comet ISON. I have been receiving revelations that this is it! What are your thoughts? Much love and many blessings. Thank you Michelle for your nice comment. I do wonder about the comet ISON. We humans do seem to fear ever comet that comes into the inner solar system. I sometimes wonder if it is just another ‘seeded’ news item of some impending doom. There seem to be so many over recent years which all seem primed to maintain us at a high level of fear collectively. Fear and worry dulls our spirituality. I sometimes think this is by design of those [the tares in the wheat] who would prefer that our true spirituality remains stunted. Having said that, I actually think that the fear of a passing comet wrecking the Earth’s weakened magnetosphere is a realistic fear. there are also a lot of danger indicators flashing these days. IE. The fema camps possibly being intended for a potential emergency. The fact that the governments barely mention ISON. They seem to be playing it down to irrelevant.The fact that the US/Russia/China/& Switzerland have built so many deep underground bases. The fact that the vatican funds one of the worlds best astronomical observatories and that they have always shown a strong interest in comets. In fact many catholics believe that the 3rd unpublished ‘secret of fatima’ supposedly passed on by the virgin mary in 1917 concerned a comet. There is no proof either way. Anyway, I shall be reading your blog. Thanks for your response. I agree with you 100%. I dont know why I never keyed in on previous comets before but ISON has my attention. I dreamed of fireballs falling from the sky around Obama followed by a mutant army rising out of the ground. I also saw an 11.0 global quake crustal slide and poleflip years ago before it was popular.